Using Computer Aided Design software and estimating technology we will ensure that your kitchen is designed for the way you work. Following our own survey of your site or working from your architect drawings, we’ll sit down with you to discuss how you operate now and what plans you have for the future. This helps us to understand exactly what you need and gives you a kitchen solution that can accommodate business growth. 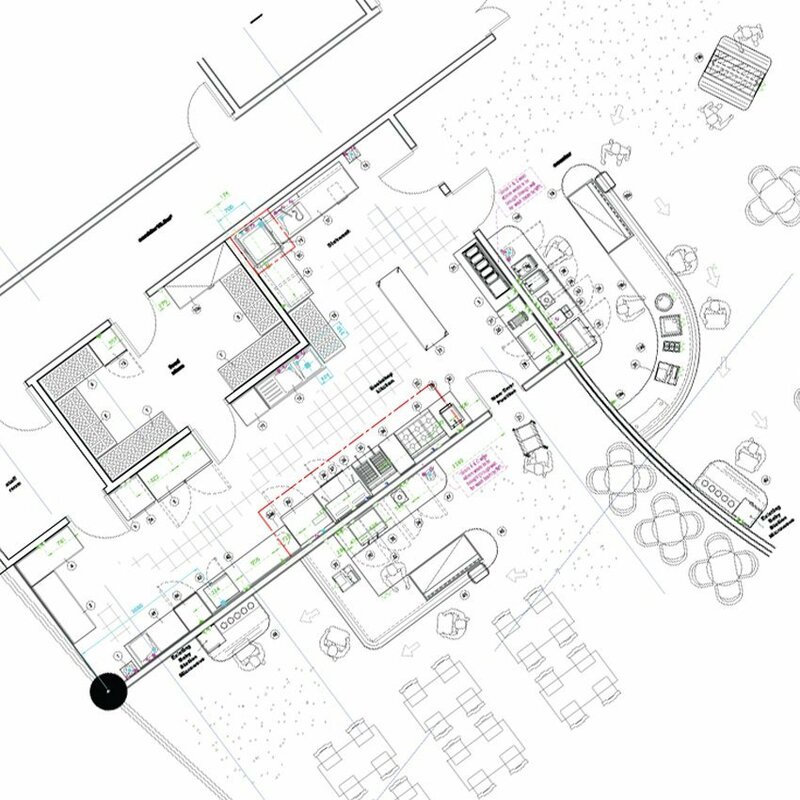 Draw up a detailed programme of work for the site. Deal with all necessary administration and paperwork and place orders for your equipment. Attend site on a regular basis to coordinate the work of all tradespersons: plumbers, electricians, equipment engineers, building contractors etc. Make sure that all tradespersons have the appropriate certification relevant to the task involved. Check that installations comply with all Health, Safety and Environmental legislation. Regularly inspect the site to ensure all health and safety regulations are strictly adhered to. Ensure all project milestones are met to achieve delivery and installation targets. Post installation – organise staff training and demonstrations with manufacturers and technicians on ‘how to’ operate the equipment for ongoing use. Leave behind operator instructions, print and CD versions, for future reference.